Why does everyone like spandex bike shorts so much? 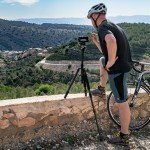 Why do cyclists and bike riders in general wear spandex shorts and is there an alternative to spandex? I am no expert on cycling style or utility and will not pretend to be one. What I can do for you is offer pros and cons – and a new hot something I think you’ll like as an alternative. 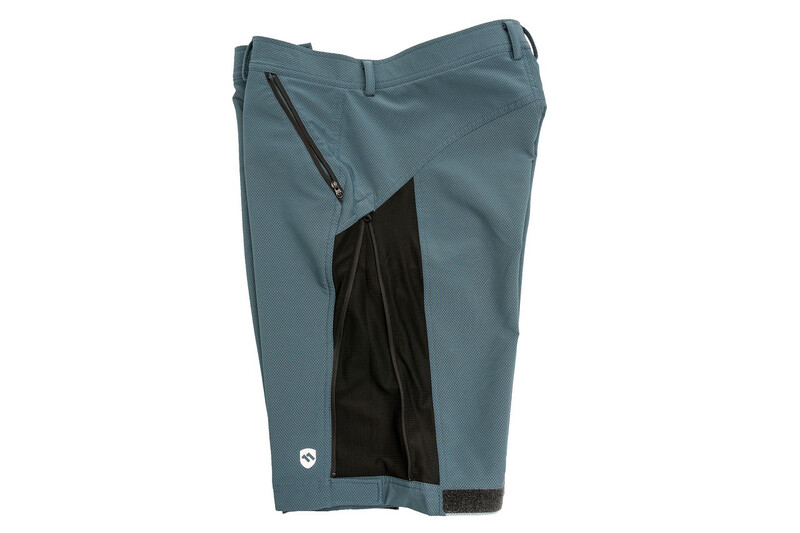 If you’re the TLDR type; the product I’m giving an opinion on is these shorts from ElevenPine that ride like a spandex bike short, and convert to normal looking shorts when you’re off the bike. They also offer options with the same concept designed just for the ladies. 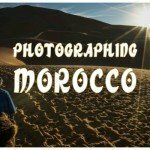 I took these shorts on a trip to Morocco where I was scouting a bike photography tour. 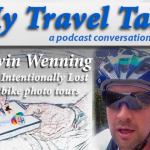 The quality of light is best for photos in the early morning and late afternoon hours so my itinerary had me taking photos each morning and evening at a location of interest, and spending the mid day hours riding to a new location. Soaking in a strange and beautiful place from the seat of my bike connects me with that slice of the world almost on the same level as photographing it. And yes, it’s so much better to ride a location in person than virtually on the screen of a stationary bike. Ahem! In this concept lies the problem I needed to solve. 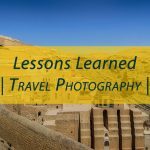 I wasn’t on a leisurely pace with a guide who would show me to my hotel room to shower and change before politely guiding me to my photo location for the evening. I am the guide. 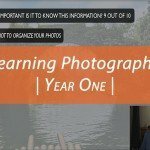 I have to find and plan the photo locations. When the ride for the day is finished, there is no time to waste. 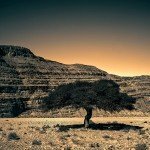 I grab my camera gear out of the support vehicle and head off on foot straight away. I’m larger than your average cyclist build so I stand out already. Wearing spandex shorts would only add to people staring and avoiding me; which makes it really hard to get good photos. 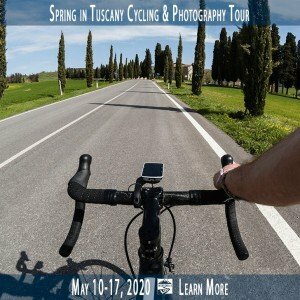 Does this feel like a scene you’ve encountered when rolling into a quiet French village on a cycling vacation, or even at your local coffee shop? I’ve been there too. If I know I’m going to stop for lunch, I might carry a pair of shorts in my jersey pocket to pull on over my bike spandex before I head into the cafe. 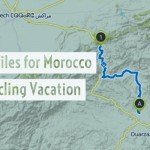 I felt it was important to extend this courtesy to the people of Morocco. Nobody wants to see me walking through the market sporting the spandex look. Pros – Why do we like spandex bike shorts? For me, that’s where the benefits stop. But everybody wears the spandex bike shorts. Don’t those same people who wear their fitted spandex shorts in public feel even a little bit self conscious? Do we think we look cool and everyone is jealous of our sleek style? Or…do we just do it because that’s what the pros use and we don’t want to look like a fred on the road next to someone who’s a competitive rider? Cons – Do we really like spandex bike shorts? Why do I not prefer spandex bike shorts? I have to change out of my bike shorts before I can blend in with anyone other than the group I’m out riding with. Wearing a skin tight kit all the time means you’re either a full time cyclist or you want to appear to be one. Neither of those applies to me. In fact, the majority of riders across the US and UK are recreational cyclists like myself. I say US and UK because I know at least in Africa and Asia, riding a bicycle is a primary means of transportation; it’s not even recreational there, just necessary. If you’re not racing your bike, do you really need the advantages of spandex shorts? I would still say yes. 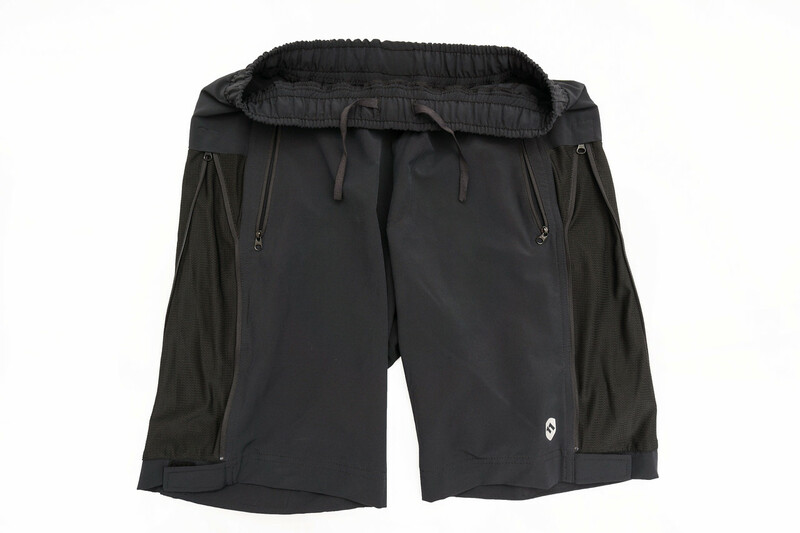 Mountain bike shorts offer some of the same function without the look of spandex, but I have tried dozens of options and found them insufficient for road riding. So what’s special about these ElevenPine shorts? 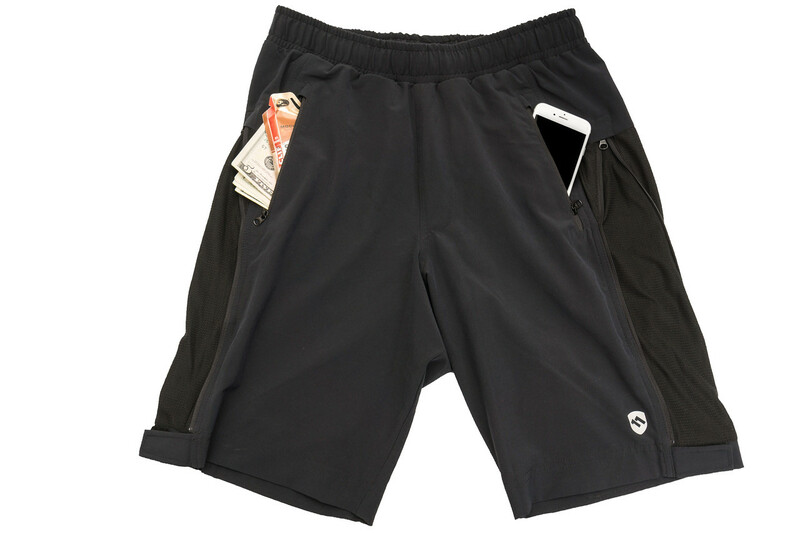 Does ElevenPine Really Have an Alternative to Spandex Bike Shorts? I liked the shorts the moment I put them on, and to date I have ridden these shorts almost 500 miles / 800 km to form an honest opinion. They’re not an exact one-to-one replacement for my spandex shorts, but are very close. The main difference in my opinion is that you’re wearing a liner short with a chamois and another pair of shorts over top so the breathability and air flow is reduced slightly over wearing only spandex shorts. The mesh panels on the sides and the right choices of fabric make everything work together really well. 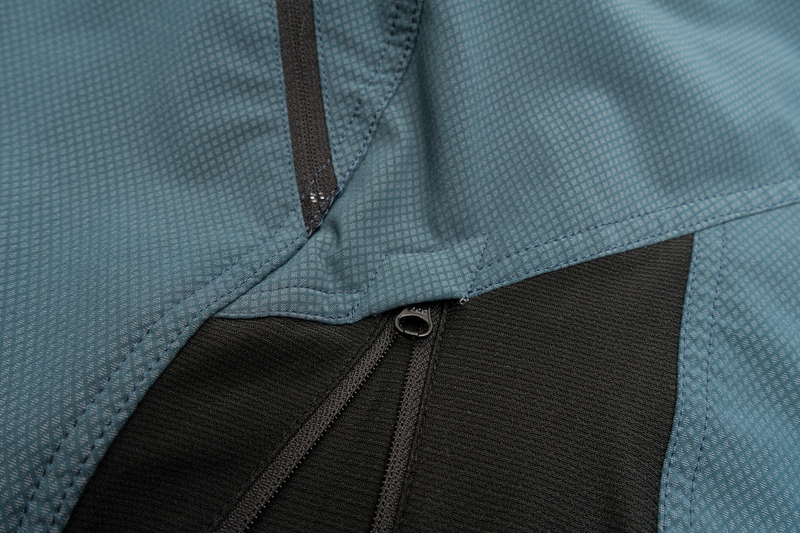 The products are designed by veterans from Pearl Izumi who know their stuff when it comes to fit and performance fabrics. 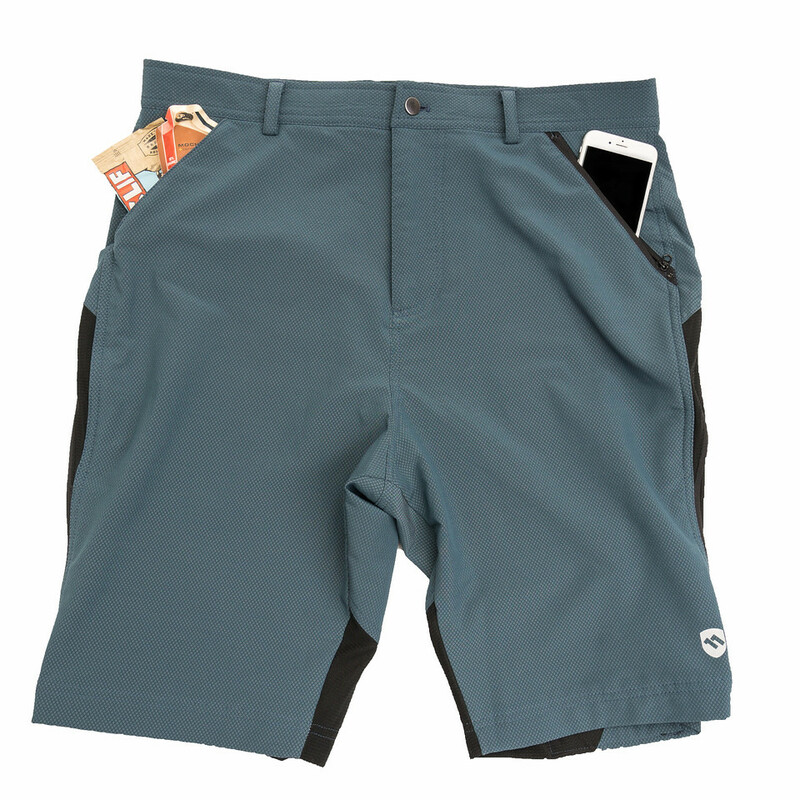 At first glance you might look at these and think they look like plenty of other mountain bike or hybrid shorts you’ve tried. There are two reasons I prefer the ElevenPine shorts over other hybrids I’ve tried. 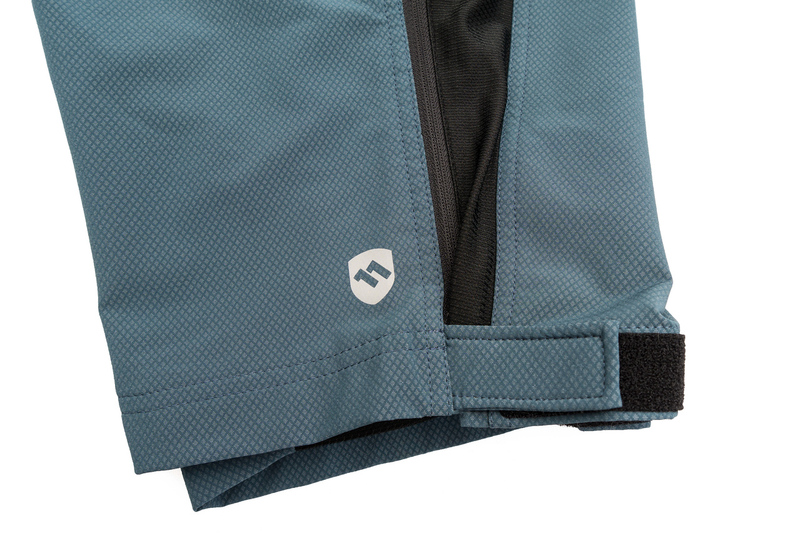 The liner shorts made to go with the sport-shorts are well designed and quality; not an afterthought. The fabric moves and stretches like spandex and there are mesh panels on the side and back of the legs to allow free movement and air flow to keep you cool. 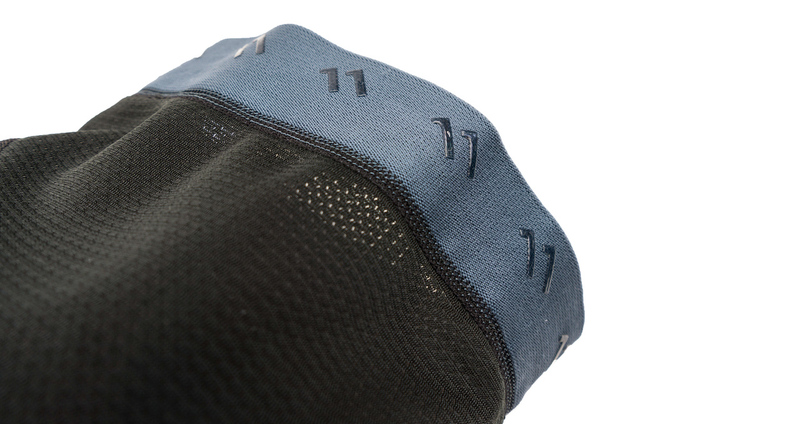 The side zip closes easily to draw the mesh side panels closed. You can even zip the sides closed while riding; which I do often because I forget to zip them before clipping in on my bike. 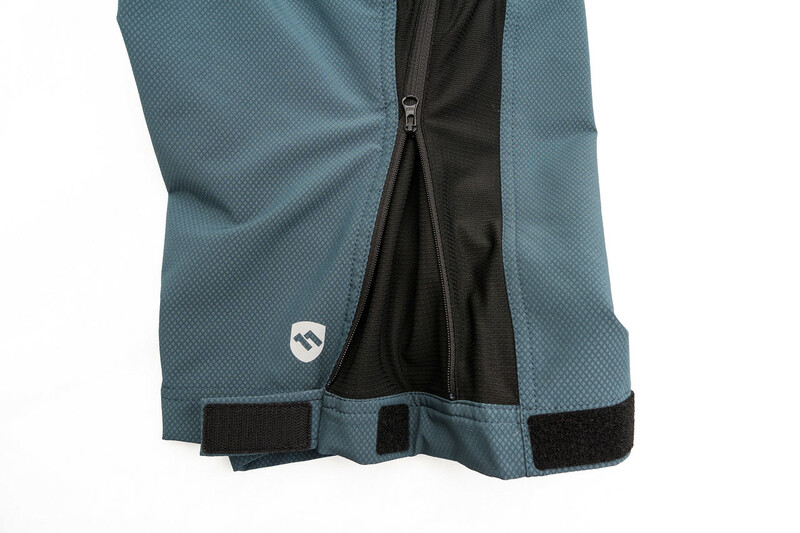 When the sides are closed, there’s an extra velcro tab at the bottom to hold the sides closed so they can’t unzip during your ride. 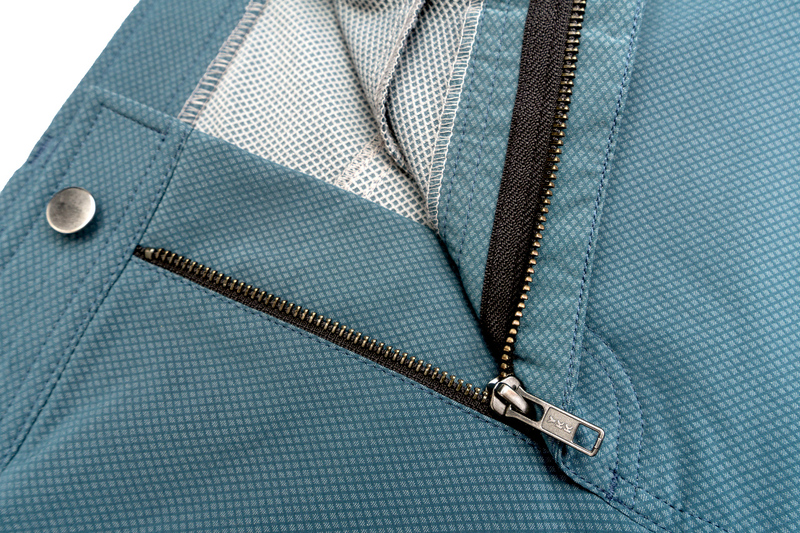 Or you can unzip the side to allow more air flow and just leave the velcro tab closed at the bottom. If I had a nitpick with the shorts it would be right here. I want a bit longer strip of velcro so I can adjust how tightly I close the bottom of the shorts. The shorts are the most comfortable when I leave the velcro closed but the leg opening loose… since I’m not a skinny guy with stick legs. 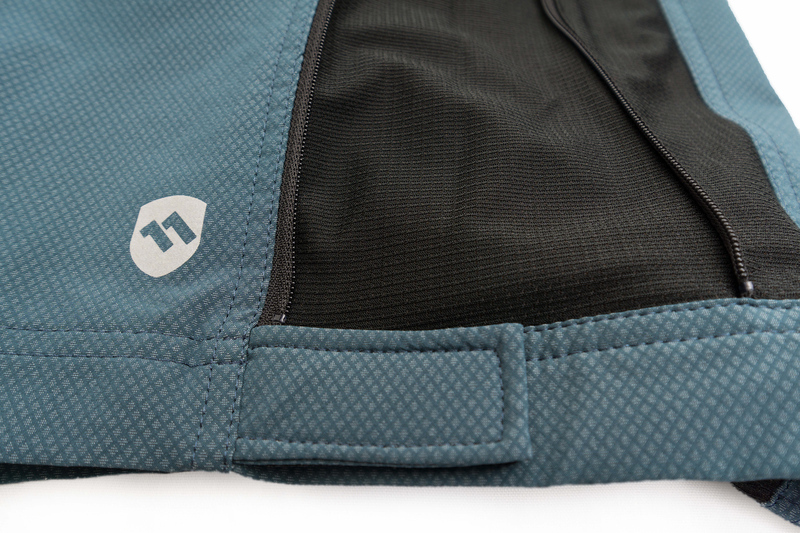 When you’re off the bike and have the sides unzipped, there is another velcro patch to hold the side tab in place. Even the zipper has a little nook to keep it out of sight; which is just a small detail that made me smile. And the main closure hardware is a durable YKK zipper and brass button that are sure to last for a very long time. Both the blue and black shorts have generous deep front pockets. 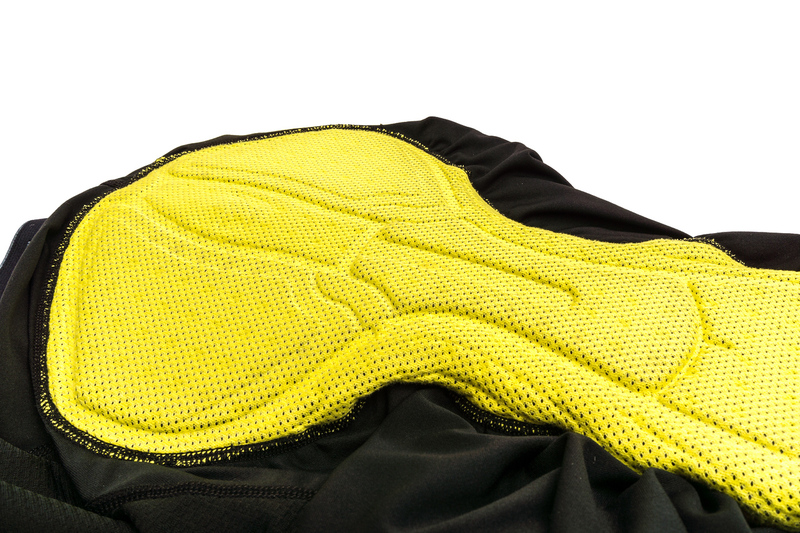 …and an excellent chamois pad that I have found to be very comfortable even on my longest rides. 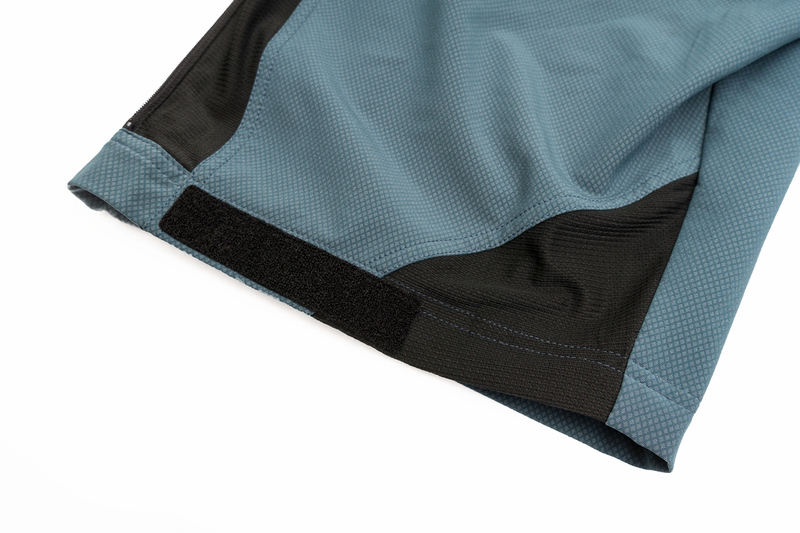 The mesh on the sides of the ElevenPine liner shorts makes them move and breathe well beneath the sport shorts. Other brands of spandex shorts worn under the ElevenPine sport shorts didn’t move or breathe quite as well. So for the best performance and comfort, buy the liner shorts that are designed to wear with the sport shorts. You’ll be happy you did. I chose to take the blue Crankitup shorts on my Morocco trip and I left the black Uprising shorts pair at home. 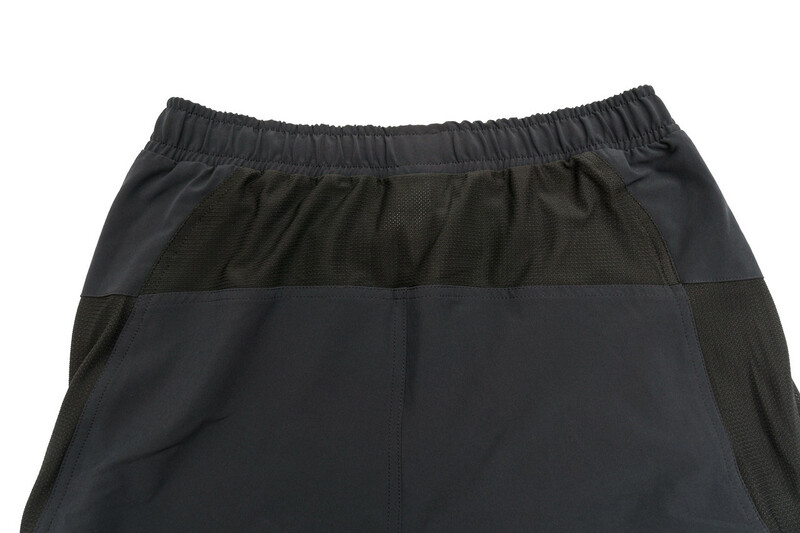 The black/uprising shorts are equal in every way with just a few differences in design choices; namely an elastic waistband with drawstring closure, and an extra mesh panel on the back for improved flexibility and air flow. The black shorts are actually slightly more suited to road riding and the blue shorts are more of a mountain bike style. I also appreciate that the colors chosen for these shorts are sensible rather than bright reds, greens and yellows like I usually find in mountain bike shorts. 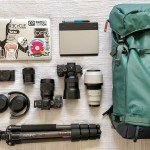 I rely on blending in with my environment to get good photos so I want normal colors and styles on my clothing and my photography gear. If you’re a pro rider who spends 6 hours a day on your bike, I’m not trying to convince you to try these shorts. 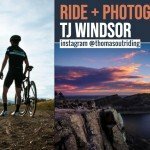 I’m sure I lost the pro riders when I started talking about how the shorts suit my use as a photographer. I still wear my spandex on days when I’m out for long rides by myself. But; when I know there are social activities, or I’m traveling and want to make the most of my photo oppportunities, these ElevenPine shorts are now my go to. Having the right tool or equipment often makes the difference between an ok day and a great day. 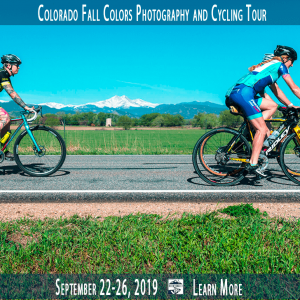 The promise of what this product means to those of us who like to explore the world by bicycle is real – you can be comfortable on your bike and off of it without sacrificing performance.